Though our company name is Sausalito & Santa Rosa Moving and Storage, a large percentage of our clients move to or from San Francisco. We hope you find the information below helpful! 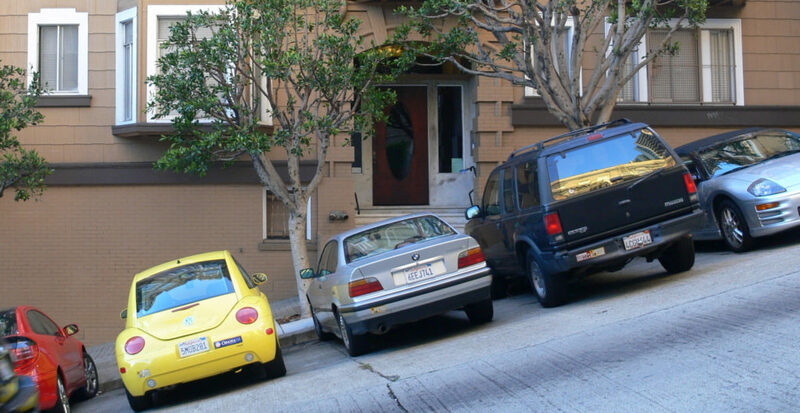 San Francisco has a well-deserved reputation for difficult parking and pricey parking permits. When considering the cost of your move, be sure to factor in about $300 for a parking permit for the moving truck. Your San Francisco moving company may be able to give you guidance about whether or not you need one and how to obtain it. Or you can get a head start by visiting San Francisco’s parking permit portal here. Remember, whether or not you decide to purchase a permit, parking for the moving truck is ultimately your responsibility—as are any parking tickets incurred on moving day. Drive a sedan up Divisadero through Cow Hollow and you will develop an intense respect for moving trucks that routinely navigate the same slope. The hills of San Francisco should dissuade you from renting a truck and grabbing strong friends on moving day. Instead, hire a professional San Francisco mover with experience driving in the hilly city. Having your home packed for you by a professional moving company is one of life’s most delicious luxuries. But even if you’re going it alone, your moving company still can help with the packing. Along with professional tips, San Francisco movers provide special boxes for dishes and garments. They can even take apart furniture and put it back together in your new home–often at no additional cost to you. In addition, many moving companies can help you identify and store items that don’t have a place to go in your new home. Unfortunately, the traffic in the Bay Area has become a nearly 24-hour phenomenon. Still, there are times when congestion is lighter then others. If you are moving locally, driving times can add significantly to the cost of your move. Make sure to consult with your moving company about traffic conditions. Ask for their advice on best times to schedule your move. Whether you are moving from San Francisco or moving to San Francisco, you probably need these packing & moving tips. Check out our Countdown to Moving Day: a weekly checklist to get you all ready for the day itself.